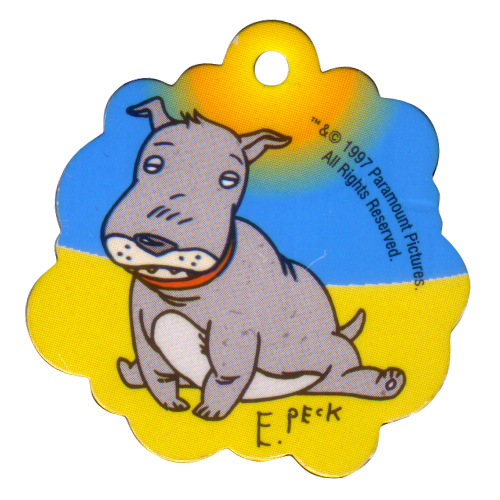 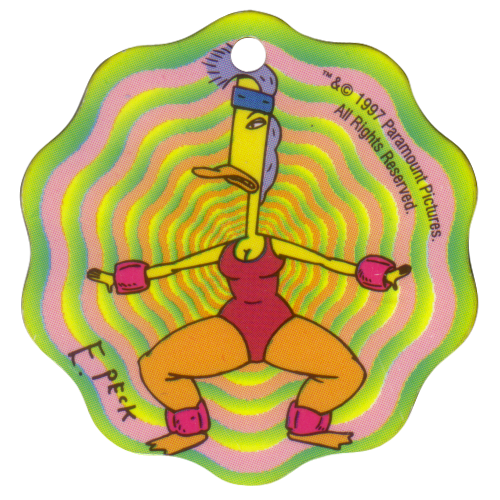 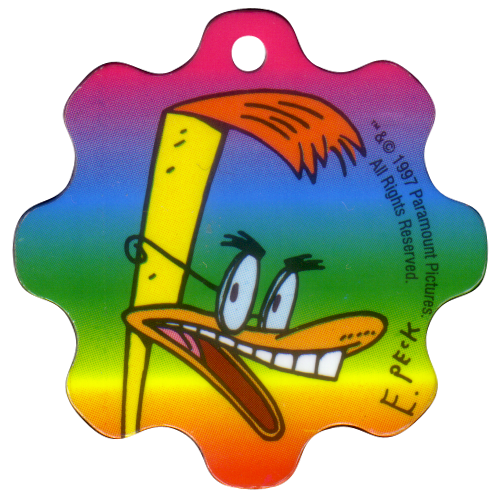 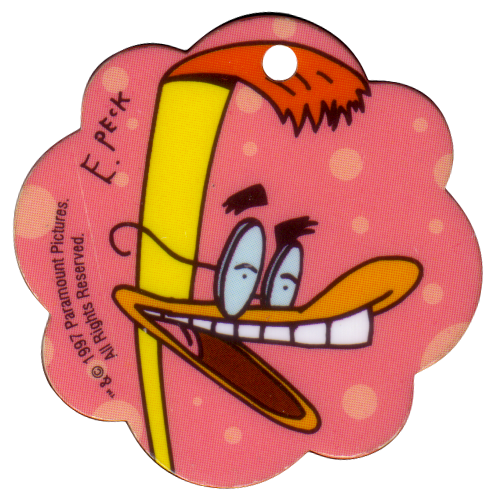 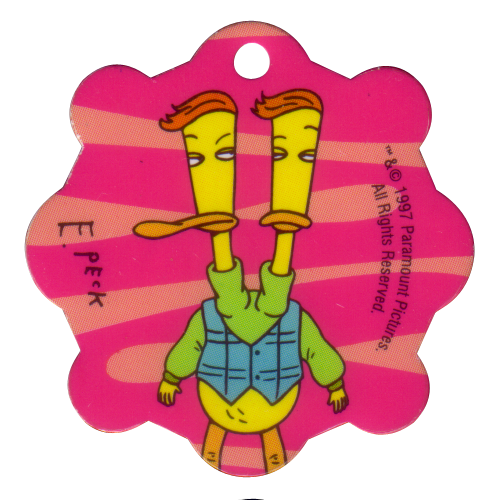 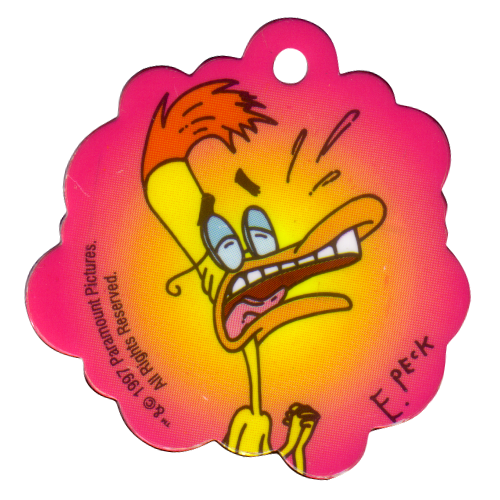 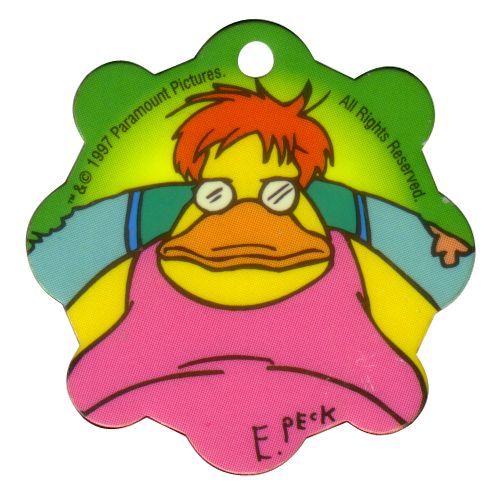 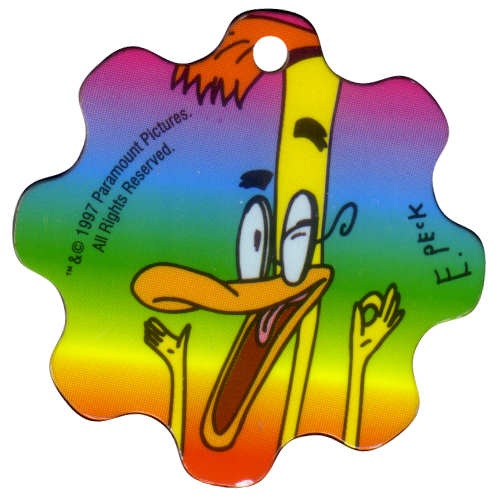 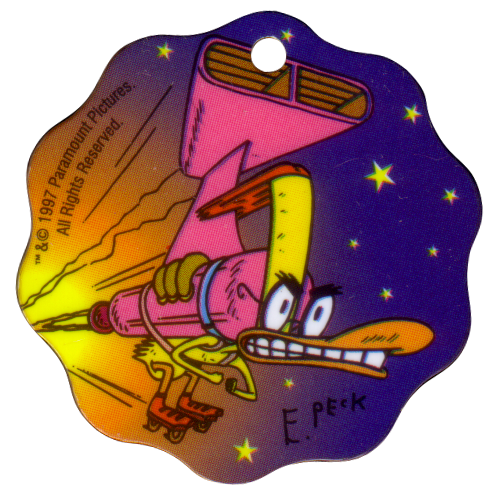 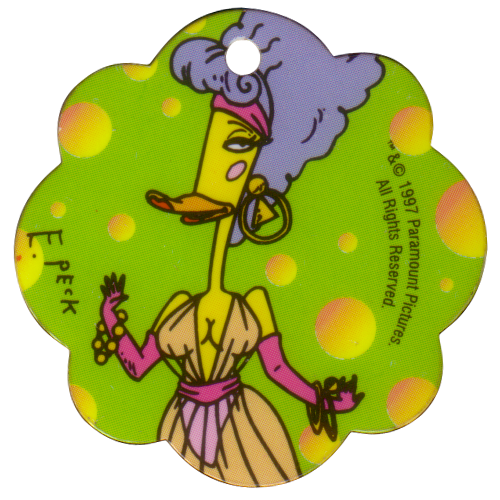 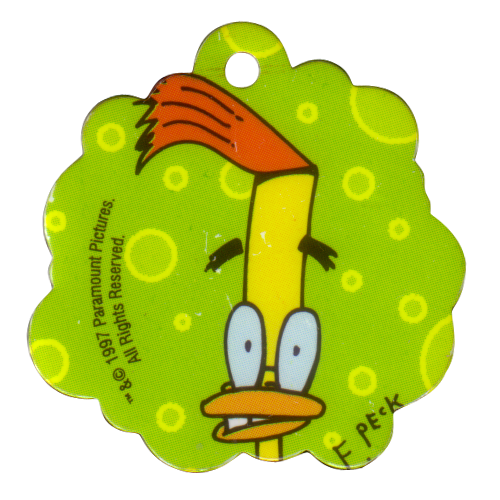 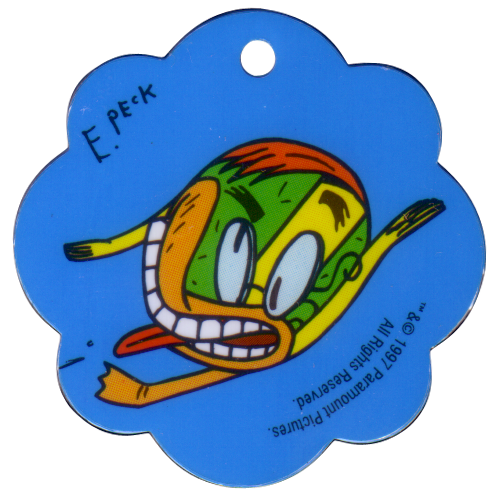 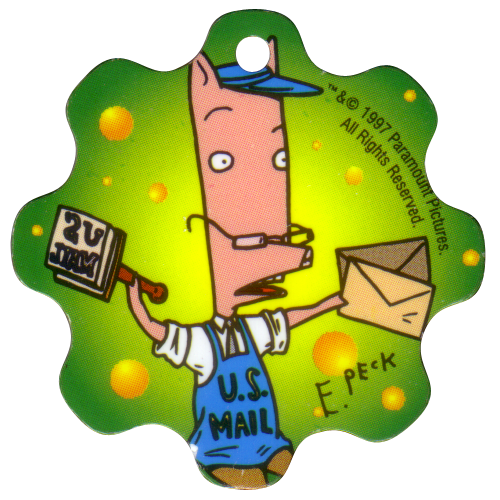 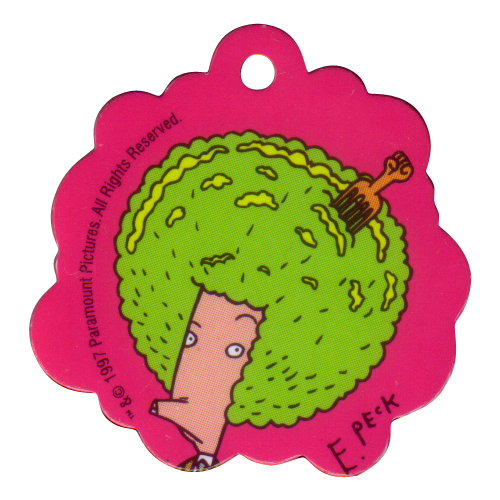 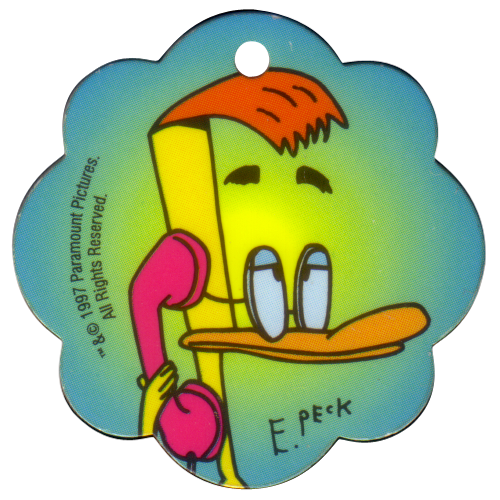 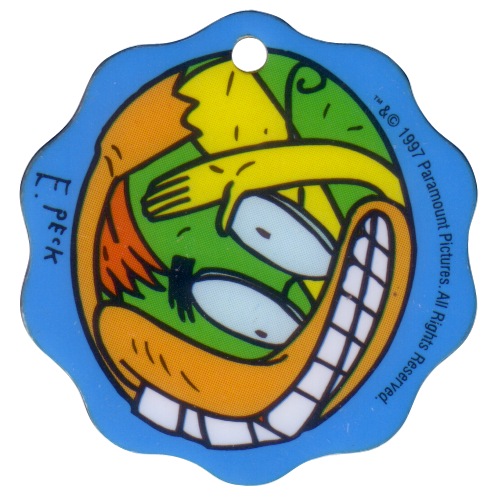 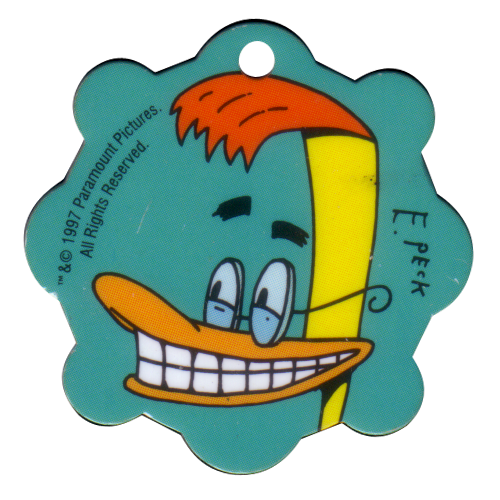 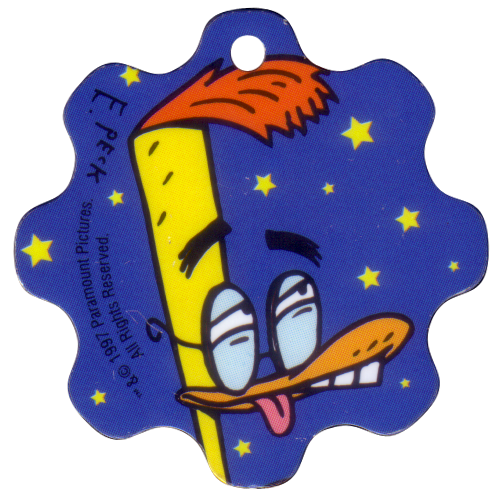 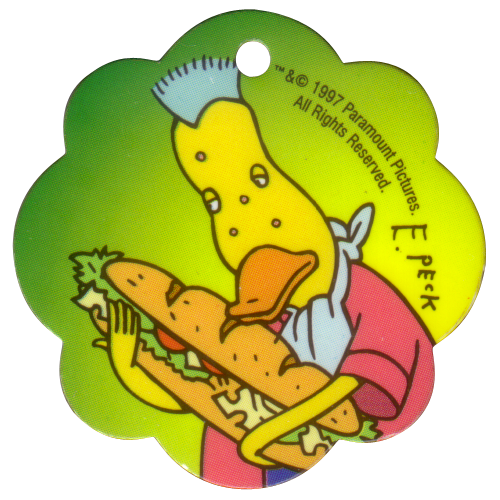 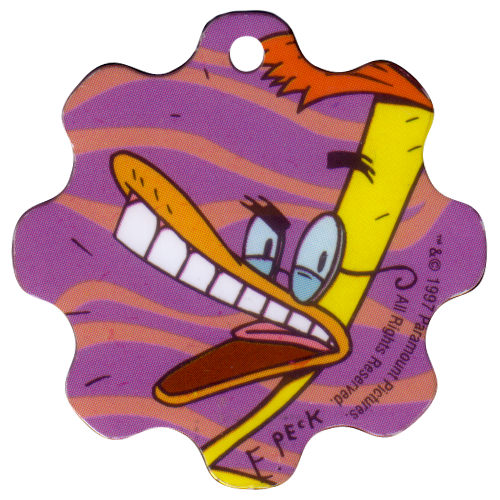 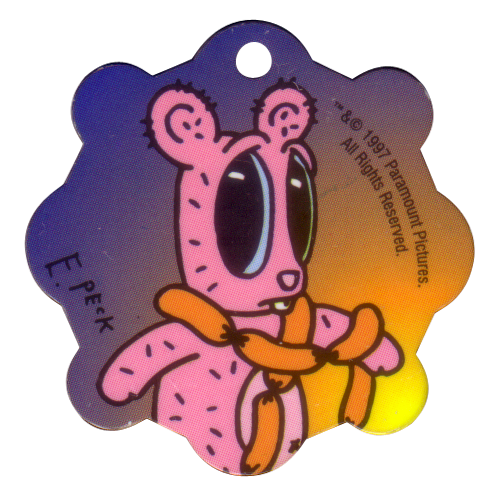 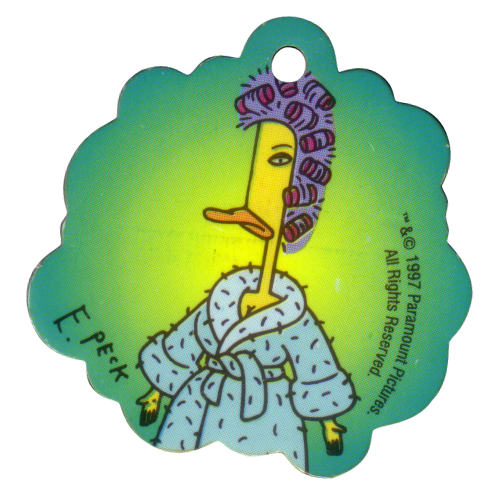 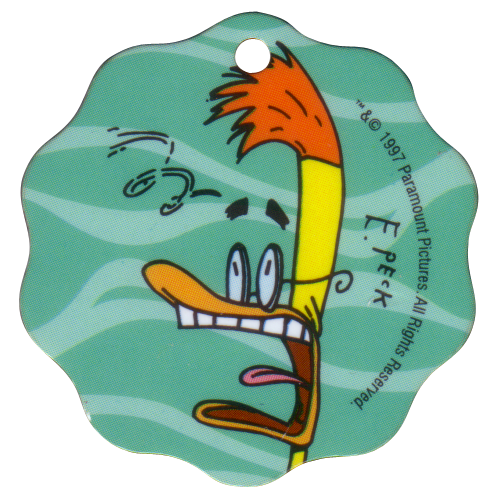 Info:These pogs feature characters from the cartoon TV series Duckman. 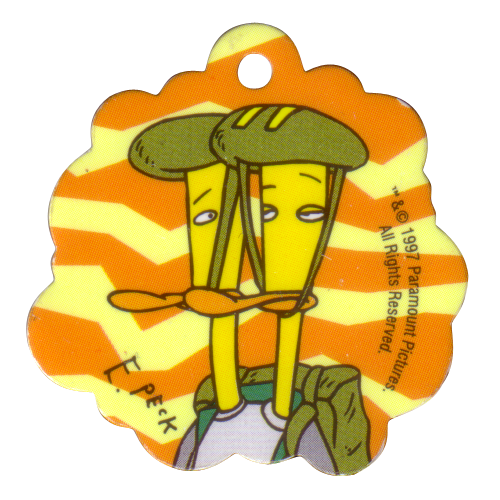 They are made from plastic and are oddly shaped. 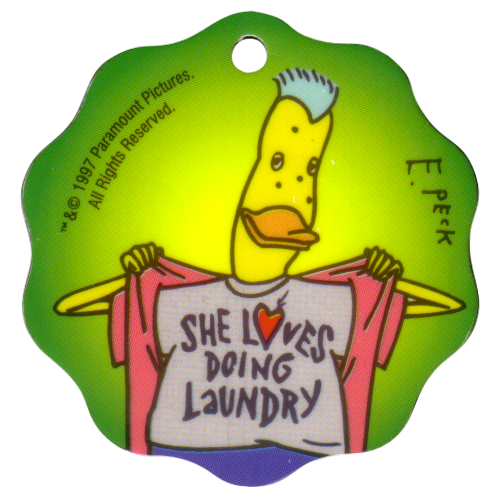 They are slightly smaller than standard pogs / caps, and have a hole at the top, possibly so you could hang them up. 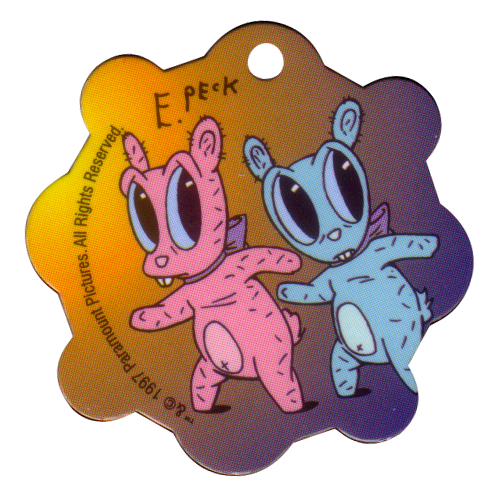 They would have been given away with packs of Croky chips sold in Belgium. 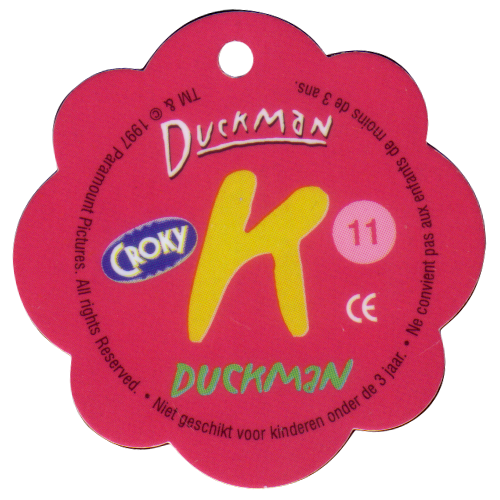 There are 26 caps in the set, numbered from A-Z.